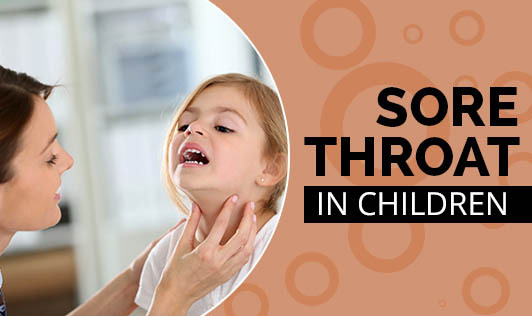 Children are affected by sore throat very often. It may not only be because of bacterial or viral infections, but there are other reasons like teething, tonsillitis, hand, foot and mouth disease, inhaling foreign substances like dust, smoke, pollen, cat or dog dander or second hand smoking that can be causes too! • Avoid giving foods which are acidic or spicy as it may aggravate the symptoms.